Berita Gadget - Microsoft, through CEO Steve Ballmer, just announces product OS to base on Windows Mobile 65 special addressed for class peripheral enterprise and embedded (attached). This new OSMIUM conceived of Windows Embedded Handheld and will be launched in six-month to the fore.Then has just been peeped out version to base on Windows Phone 7 in beaking second 2011 later. 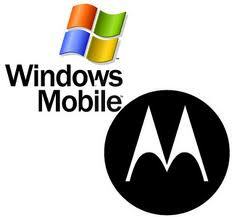 This announcement done when roll-out of smartphone for enterprise that is Motorola ES400 using Windows Mobile 6.5.3. Also is provided through division enterprise from Sprint. ES400 is shatterproof smartphone with fitur high level security and safety. Applies processor ARM11 600MHz, this ES400 also uses touch screen 3 resolution inch 640x480 pixels and is equiped reader barcode in the camera. This peripheral also supports koneksi HSPA, EVDO, and wifi 80211g.